What's a great way to show someone how much they are loved? With a great big squeeze, of course! 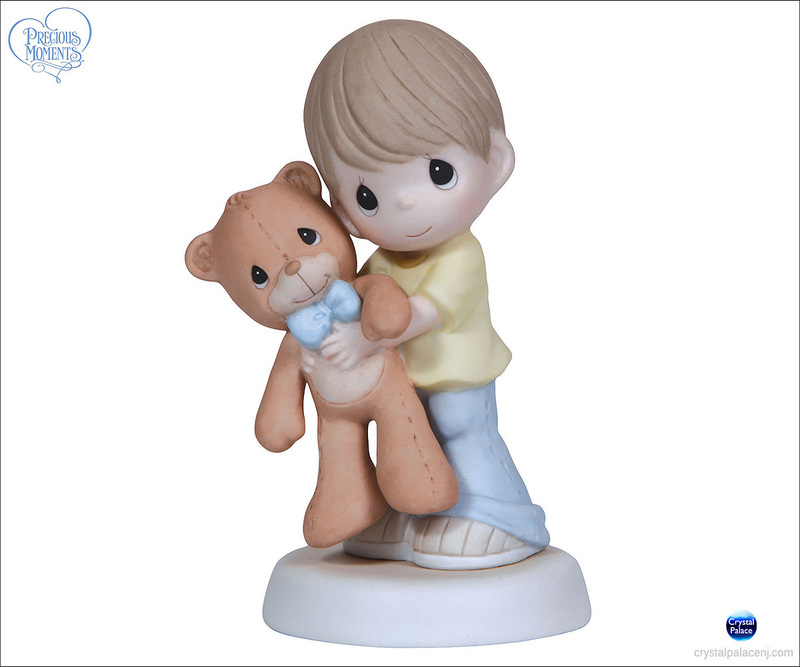 Demonstrating with his oversized teddy bear, this lovable little lad shows someone very special where they will always be - in your heart. 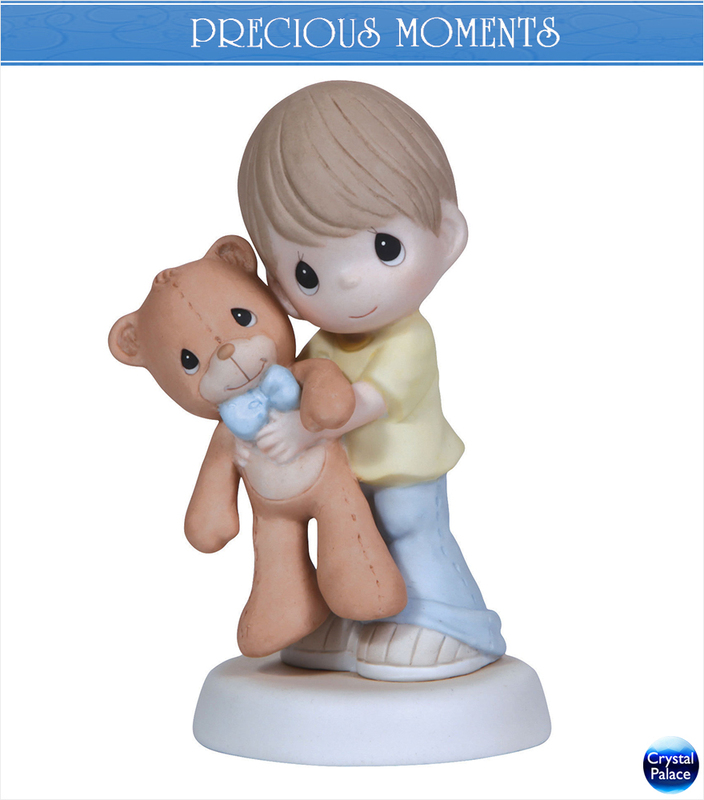 Bisque porcelain figurine. 5 1/4" H.